I’ll let you into a secret: Skinners Brewery is a bit of a favourite of mine. Not only do they brew one of my favourite bitters, Betty Stogs, but have you seen the new labels? I mean come on, that’s how you do a rebrand (other breweries take note). In fact, I shall be dedicating an entire post to that as it’s SO good. 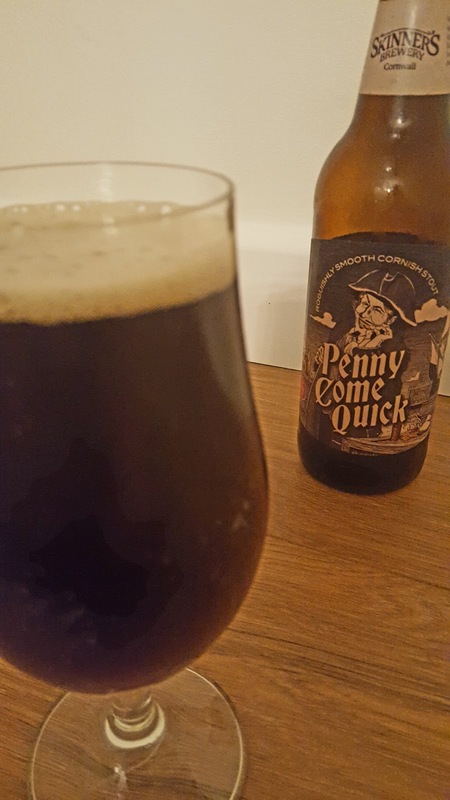 But enough of that, let’s talk about lovely beer. 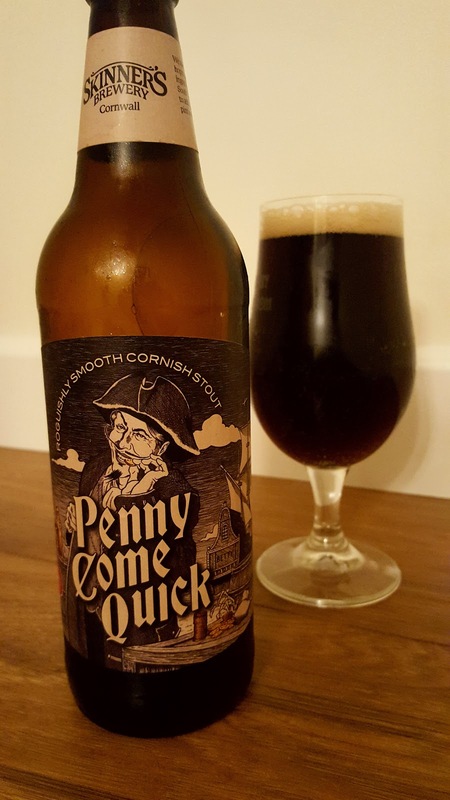 In October, Skinners released a limited amount of their seasonally brewed milk stout, Penny Come Quick, which is now available for the first time in bottles and to drinkers outside of Cornwall. When they got in touch to ask if I would like to try a bottle I readily accepted. 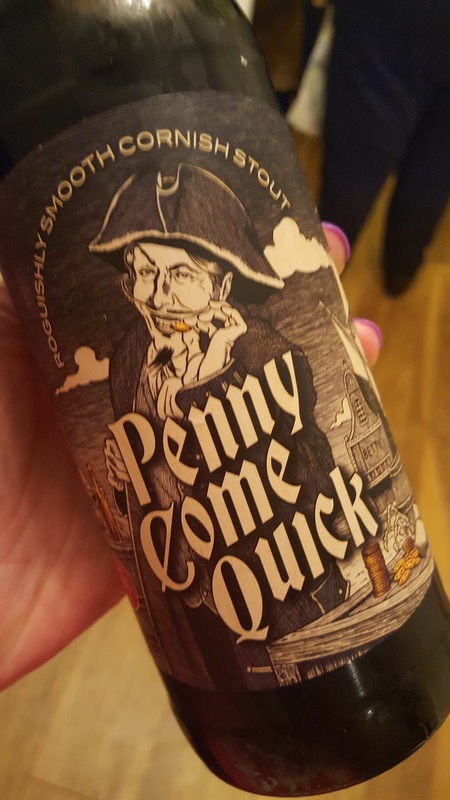 For me, Skinners are about bold, but well balanced flavours and at an ABV you can stick to all night, and in this regard Penny Come Quick (4.5%) is no exception. 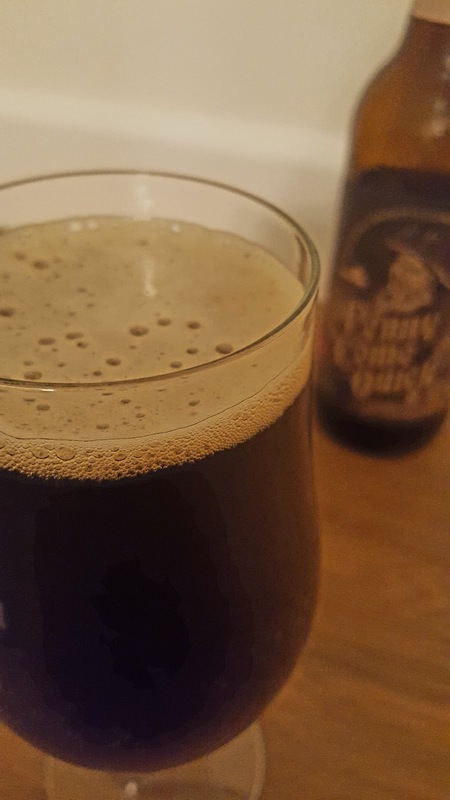 At first sniff the aromas were subtle, but I detected dark chocolate, coffee and a hint of toffee.These roasted, bitter, toffee flavours came through in the taste, but with some floral notes lurking in the background and a malty finish. I was a little surprised at how light this was, but this was to its advantage particularly as I was enjoying it with a meal. This beer would go particularly well with a chocolate orange, which is my breakfast/lunch/dinner of choice during the festive period. Also Toffifees, which apparently I’m obsessed with. This is a good, solid milk stout and one I will certainly purchase again. I’m heading down to Cornwall this week for a little beer tourism so I’m rather hoping to pop into Skinners to have a look around and, of course, try this on cask (along with a few others). While I’m on it; if you have any other recommendations while I’m in Cornwall (predominantly St Ives/Truro way), please do let me know. We’re not there for too long, but I’d like to at least try and fill up the car with beautiful beers to drink on our return.